The European Renaissance is considered a time hen a new view of the world and the universe comes to life. One of the greatest achievements was the discovery of the New World, as the Europeans called it. This led to new ideas about the universe and therefore the solar system. When they discovered that the world was round instead of planar, that would raise questions about other things like the solar system. 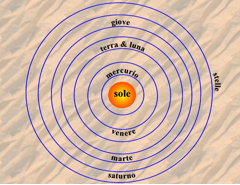 The popular theory about the solar system before the Golden Age (XVI and XVII centuries) was the geocentric theory published by Claudio Ptolomeo. This theory explains that the Earth is the center of the universe. The rest of the planets rotate around the Earth in the following order: Moon, Mercury, Venus, Sun, Mars, Jupiter, Saturn and finally the stars. This theory also establishes that every planet rotates around its own axis. It survived until the year 1543 when Nicolaus Copernicus published the Copernicus heliocentric theory, which opposes the geocentric theory. This establishes that Earth is not the center of the universe but the Sun is. The rest of the planets in the following order surrounds the Sun: Mercury, Venus, Earth with the Moon, Mars, Jupiter, Saturn and finally the stars. This theory completely changed the way of thinking about the universe. This has prevailed since its beginning in the Renaissance until today. 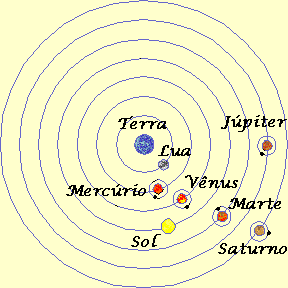 Both theories influenced a lot of poets, who used them to make their poems using the planets and stars. 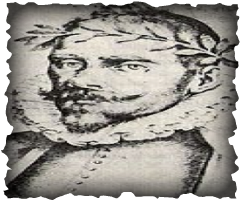 Some of the well-known poets were Fray Luis de Leon(1527-1591), Juan de la Cruz(1542-1591) and Gutierre de Cetina(1519-1554). These and some other authors compared the woman with the beauty and splendor of the Sun. They also make allusions to the planets and the order in which both theories explain they are in. In the poem “Noche Serena”, Fray Luis de Leon makes allusions to the stars and the planets when he explains the beauty of his spiritual love, and he feels hurt, empty and depressed when he sees the situation in the material world. When he says: “¡Ay!, levantad los ojos a aquella celestial eternal esfera…”, he refers to the infinity of the sky full of stars. In the verse “y con paso callado el cielo, vueltas dando, las horas del vivir le va hurtando” de Leon says that while the days keep passing by he feels like it is stealing hours of life from the man. He uses the image of the sky and the fact that the world rotates every 24 hours to explain the passing by of the days. Every time that the sky passes by silently is one more day that passes by. The de Leon says: “Quien mira el gran concierto de aquellos resplandores eternales, su movimiento cierto, sus pasos desiguales y en proporcion concorde tan iguales”. The “gran concierto”(great concert) of which de Leon talks about is the constant movement of the planets in their own axes, which move the same way but at different times. Then he starts to name planets in the order in which the geocentric theory explains: Moon, Venus, Mercury, Mars, Jupiter, Saturn, Stars and the habitaculum Dei, which for him is where the peace and sacred love live. At the end of the poem de Leon says: “¡Oh, campos verdaderos! ¡Oh, prados con verdad frescos y amenos! ¡Riquisimos mineros! ¡Oh, deleitosos senos! ¡Repuestos valles, de mil bienes llenos!”. Here de Leon repeats how splendid the sky, the stars with its valleys are. In this poem Fray Luis de Leon uses mainly the geocentric theory to explain his love for the spiritual connection between the man and the sky. In the poem “Noche Serena”, de Leon has no allusions to the Sun, why? 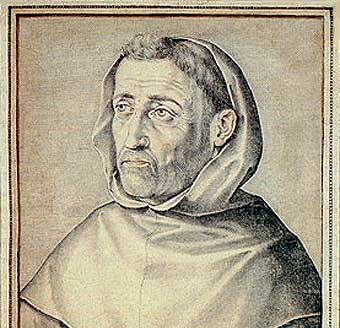 De Leon published his poem around the 1580s, when the heliocentric theory had just been published, which has the sun as the center of the universe instead of the Earth and the Christian Church was horrified by this theory. They said that this theory was impossible because if God made us like him then we should be the center of the Universe. We could say that de Leon didn’t want any problems therefore he doesn’t talk about the Sun and remains neutral. Another example is the poem “Yo diria de vos tan altamente” by Gutierre de Cetina. In this poem de Cetina talks about his love towards a woman and compares her to the wonders of the world and the galaxy. He says “entre las bellas y preciadas cosas, no hallo alguna que os semeje un pelo”: here Cetina tells us that nothing he has seen, no matter how wonderful and pretty it is, doesn’t fall in the same category with the beauty of her. The woman and her beauty is the center of the universe in this poem. Cetina also says: “Ante vos las estrellas, como delante del Sol, son menos bellas. El Sol es mas lustroso, mas a mi parecer no es tan hermoso”. Clearly he compares the beauty of his loved one with the Sun and the stars. He says that before the Sun and the stars his loved one is far more beautiful. In the end of the poem he also refers to his loved one as the Virgin Mary when he says: “Mudaos el nombre, pues, señora mia: vos os llamad beldad, beldad María”. This has a lot to do with the Christian religion and also with scince and astrology. The Virgin Mary is considered one of the holiest and divine figures of the Christian religion, and is in the highest of the skies. And after her are the stars and the rest of the planets. Cetina talks a lot about the beauty of the woman and compares it to the stars and the Sun. Although he does not mention a order of the Universe, he expresses that his loved one is the middle of his amorous universe. When he compares her to the Sun, we can deduce that he thinks, in a way, that the Sun is the center of the Universe. Therefore he agreed with the heliocentric theory. A lot of these poets and authors created these hidden beliefs. In these poems “Noche Serena” and “Yo diria de vos tan altamente”, there are a lot of differences about the order of the universe. In “Noche Serena” de Leon gives a brief order of the universe but never alludes to the Sun, so we can say that he was scared of being judged by the catholic church and be incarcerated. On the other hand, in the poem “Yo diria de vos tan altamente”, Cetina does not give a specific order of the Universe but alludes to the Sun by comparing it to his loved one. Continually says that his loved one is the center of his universe and when he compares her to the Sun we can say that he thinks that the Sun is the center of the Universe. Basically science and astrology inspired poets and authors because of the great discoveries made.